What is the temperature on Bonaire and what language do they speak on Bonaire? The climate of Bonaire is tropical. Due to the cooling trade winds - which always come from the east - the climate is close to perfect, with a yearly average temperature of 82 degrees. Annual rainfall is 22"; water temperature, 80 degrees; wind speed, 5 miles per hour. Bonaire is outside of the hurricane belt. Time is Atlantic Standard Time, one hour ahead of Eastern Standard Time. There is no Daylight Savings Time on Bonaire, due to the fact that the times of sunset and sunrise remain consistent year round. Dutch is the official language on Bonaire. English and Spanish are widely spoken. Papiamentu, our local language, made up of all the European settler languages as well as African and Indian, is spoken by the islanders and proudly so. Cable television is available with more than 20 channels -- including CNN, TNT, ESPN, WGN Chicago, Disney and the Discovery Channel. 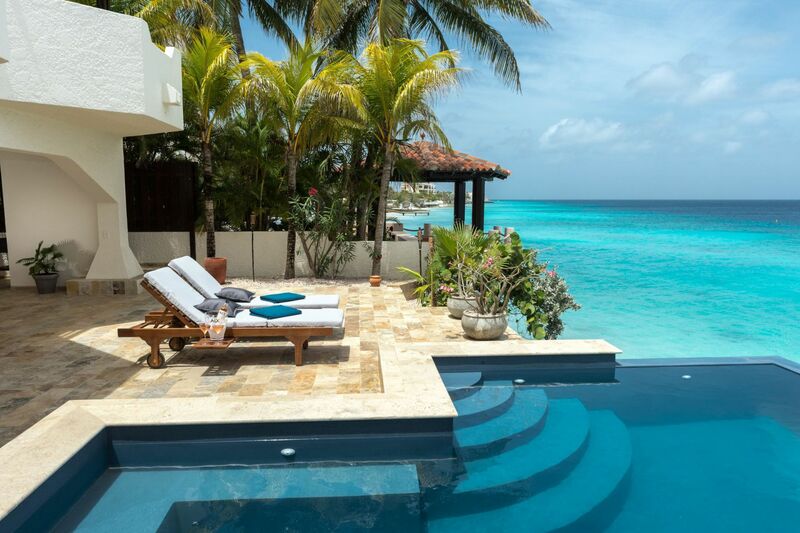 Want to come over for vacation after reading the temperatures on Bonaire? Click here for our current vacation rental homes and condo's. It does not matter if you want to spend a week or a month, if you have a large or small budget, we will accommodate you!